Examination procedures and diagnosis-specific management strategies for the knee, from the IAOM-US. 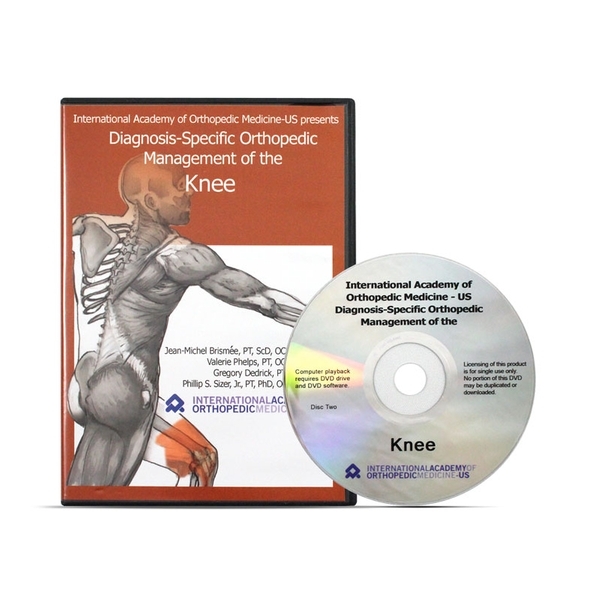 This two-DVD set contains the systematic method of examination, diagnosis and management of the knee as detailed by the International Academy of Orthopedic Medicine-US. Well-suited for self-study in a clinical, academic or home setting, or as a companion to the textbook (sold separately). DVD runtime: Disc One--1:26:22; Disc Two--1:58:30.